Live durational performance The Axis of Return (2013) and performance March Performance. Janusz Bałdyga (born 1954) is one of the most outstanding Polish artists working in performance art. Since 1979, he has been a member of Akademia Ruchu Movement. In his early career, together with Jerzy Onuch and Luke Szajna, he founded a laboratory group of self-education, carrying out a program of theoretical and practical studies in opposition to the existing universities and academies, to focus primarily on their own artistic concerns and realisations. Along three decades, Janusz Bałdyga developed a way of performing which can be said austere and elegant at the same time, almost purist, with a high degree of abstractness. 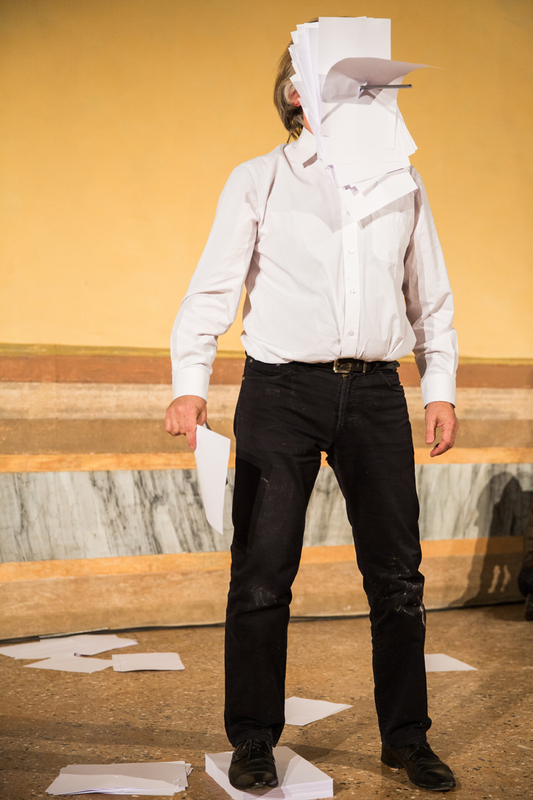 Combining tradition with avant-garde constructivist and conceptual thinking, in his performances everything is reduced to what is most necessary. The aesthetics of his expressive code, which constructs his performative language, is also essential to highlight the symbolic value of his gestures and the few elements he uses. There is vulnerability and dignity in all this, and the hope of opening new fields of acknowledgment and refreshed awareness on the weight of time and how we experience it, a time which is no doubt long and for it, yet unknown. 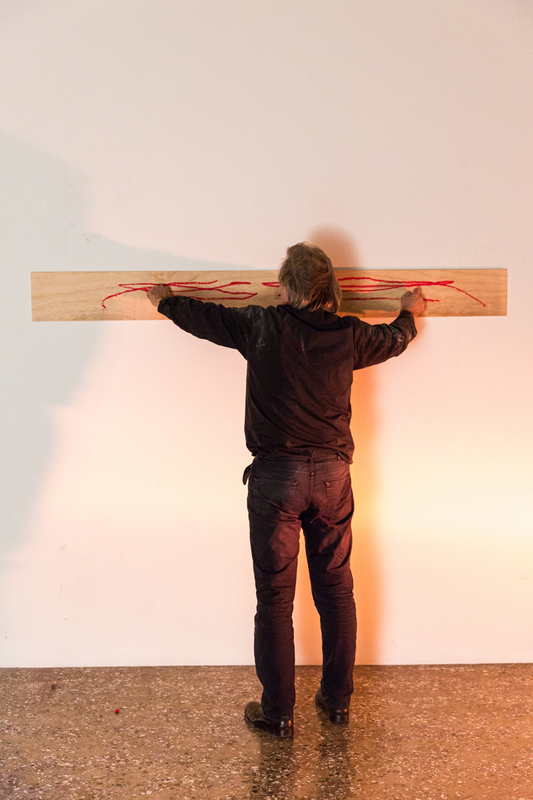 At the VENICE INTERNATIONAL PERFORMANCE ART WEEK 2016, Bałdyga presents the live durational performance The Axis of Return (2013), a performance based on the repetition of a single gesture, its dynamic determined by the mechanism of revolution. It is a metaphor of wandering as the goal. Spatial limits are border points changing the direction of the way. It is a story of journeying and aimless wandering, where the purpose is just to keep changing places. Further he will perform the March Performance, an action within a triad of concepts: mask – figure – monument, referring to a threshold rite based on notions such as stop, ban, control. It is performance of the border area, the place where cultural, ethnic and political issues overlap. Presented with the kind support of Adam Mickiewicz Institute | CULTURE.PL.